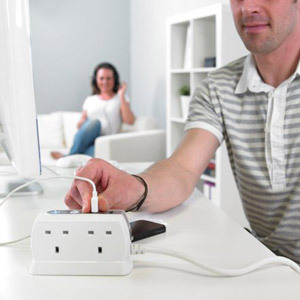 Ideal for keeping up with the amount of mobile devices and peripherals in households and offices, the Masterplug Power Block instantly transforms a single UK mains socket into four sockets and also features two USB charging ports for good measure. This means you can power and charge multiple devices simultaneously through the power block. Additionally, the Masterplug includes a one metre extension cable, so that it can be placed on desks or positioned out of the way from the wall sockets. 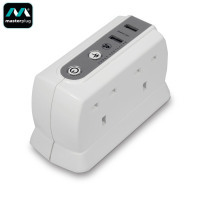 Maximise space efficiency and keep your area organised with the the Masterplug 4 Plug Power Block. Designed to support easy charging of devices, the Power Block features two USB ports, great for charging two USB cable supported devices such as smartphones, tablets, MP3 players, digital cameras and e-readers. 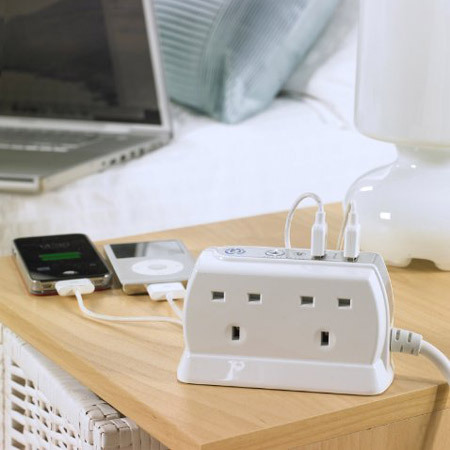 Offering an impressive total 2.1A output from the dual USB ports, the Masterplug Surge Protected 4 Plug Power Block is perfect to charge your power hungry devices such as tablets and smartphones with your existing USB cables. 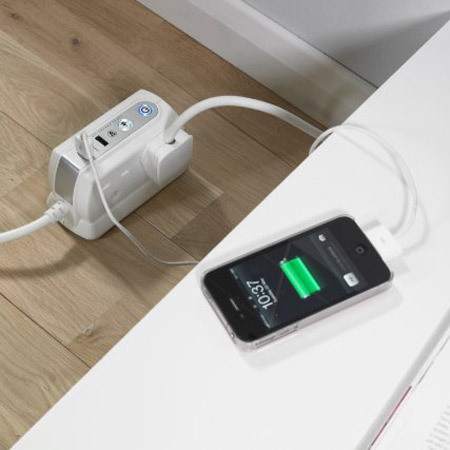 Additionally the 2.1A output means that your devices will be charged quickly, so they're ready to use for when you need them. 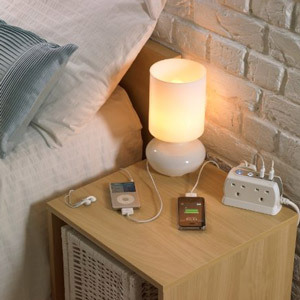 Featuring a unique space saving design, the Masterplug Power Block is compact enough for use in the home or office and can be used discreetly on power sockets without looking unsightly. It also includes LED indicators for both power (blue) and surge protection (white) to show that power is connected safely and ready to use. The Masterplug has been specifically designed to filter out high voltage surges and spikes from the mains supply, thereby preventing potential damage caused to computers and sensitive electronic equipment. Additionally, it includes a safety thermal cut-out which will prevent devices from damage caused by overheating.